Drier expressions reap steady sales while sweet variants show promise. 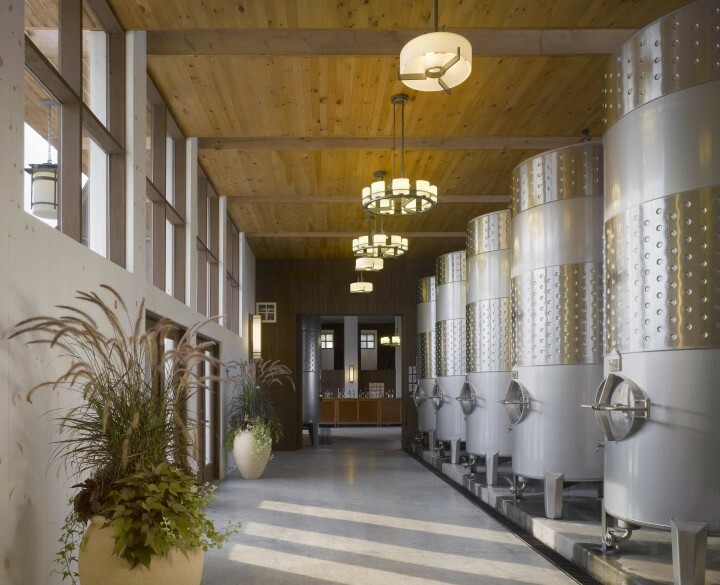 Hermann J. Wiemer winery in the Finger Lakes region of New York produces several Rieslings, which have become more popular with tourists. Riesling, loved by faithful fans of its drier expressions, is also poised to capture wine drinkers who seek additional sweet options. “Consumers are purchasing sweeter Riesling offerings as an alternative to Moscatos,” says Melissa Devore, vice president of wine buying at Total Wine & More, which projects relatively flat Riesling sales this year. The stores carry about 250 Rieslings ($5 to $70 a 750-ml. bottle). “It’s a tale of extremes, from newer wine consumers seeking something bright and fresh to the more high-end Riesling fans who know and love it,” says Bob Paulinski, senior vice president of wine for Beverages & More (BevMo). He anticipates up to a 4-percent increase in Riesling sales this year. BevMo stores offer an average of 25 Rieslings ($8 to $75 a 750-ml. bottle). Both Total Wine and BevMo report that Washington state and Alsace are strong sellers, with new Alsatian Rieslings adding excitement. According to Nielsen data, supermarket sales for the 52-week period ended October 2014 show a 2.4-percent decrease in the overall Riesling category, while domestic Riesling grew less than 1 percent. Imports declined 7.8 percent, with Germany down 5.7 percent. In contrast, France advanced 17.5 percent. Alsace wine importers are benefiting from the exchange rate and increasing profitability, says Gary Clayton, vice president and director of marketing for Pasternak Wine Imports. The company markets Lucien Albrecht Riesling ($17.99 a 750-ml. bottle), which sells 2,000 cases in the United States. This year, Pasternak will introduce Grand Cru, single-vineyard wines under the Albrecht label. “Drier Alsace Rieslings appeal to sophisticated consumers who seek new wine experiences,” Clayton says. At 800,000 cases, Chateau Ste. Michelle’s Columbia Valley Riesling ($9 a 750-ml. bottle) increased 1.2 percent last year. From a smaller base, the company’s Dry Riesling ($10) advanced 8.9 percent to an estimated 100,000 cases. Meanwhile, the Harvest Select Sweet Riesling ($10) is up 11.9 percent to 200,000 cases and skews toward female and younger consumers. Although sweeter, the wine “still has that great Washington state acidity racing through it,” says Chateau Ste. Michelle head winemaker Bob Bertheau. Finger Lakes Riesling is raising its profile as the region’s 100-plus wineries attract tourists, according to Oskar Bynke, co-owner of Hermann J. Wiemer winery. “As a culture, we’re eating more interesting foods,” he says. “Riesling has a slightly lower alcohol content, which cools down the spiciness of Indian or Thai food.” Hermann J. Wiemer’s Riesling offerings range from $11 a 375-ml. bottle of the 2013 Dry Riesling to $135 for the 2009 Noble Select Josef Vineyard Riesling. Conor McCormack, head winemaker and co-owner of Brooklyn Winery, sources the fruit for his dry Rieslings ($20 to $26 a 750-ml. bottle) from the Finger Lakes and notes that high-end restaurants are paying attention to the region. “People are realizing Riesling doesn’t have to be sweet,” he explains. Thomas Pastuszak, wine director for The NoMad Hotel in New York City, points to millennials as a particularly open-minded demographic when it comes to Riesling. “People in their 20s and 30s have no experience with the sweet Finger Lakes wines of yesteryear,” he explains. The hotel offers the 2013 Silver Thread Finger Lakes Dry Riesling ($13 a glass), the 2013 Red Tail Ridge Finger Lakes Sparkling Riesling ($55 a bottle) and the rare 2005 Trimbach Clos Ste. Hune from Alsace ($100 a glass). Silvestre Fernandes, sommelier at Patina in Los Angeles, says more customers are inquiring about dry Rieslings that pair better with the restaurant’s French-inspired California cuisine. Patina offers a total of 1,400 wine selections ($55 to $1,600 a 750-ml. bottle), including the 2007 Alsatian Domaines Schlumberger Riesling ($18 a glass; $68 a bottle) and the Robert Weil Kabinett ($21; $84). Fernandes believes that Riesling needs a bigger marketing push. “Producers need to improve their marketing so wine drinkers think that Riesling has cachet,” he says.